Water… beautiful, clean, life giving and life sustaining water. As we all know, fresh water is becoming more and more rare in the world. Clean, unpolluted and unadulterated water even more so. Here at Wellnesste Lodge we are grateful that our sanctuary holds water gems such as springs, ponds and rivers. As such, water has become an integral part of our everyday lives and an important part of our guests’ lives as they’ve visited from all over the world. Enjoying the sound, feel, smell, taste and look of clean water is like enjoying a glimpse of the heavens. 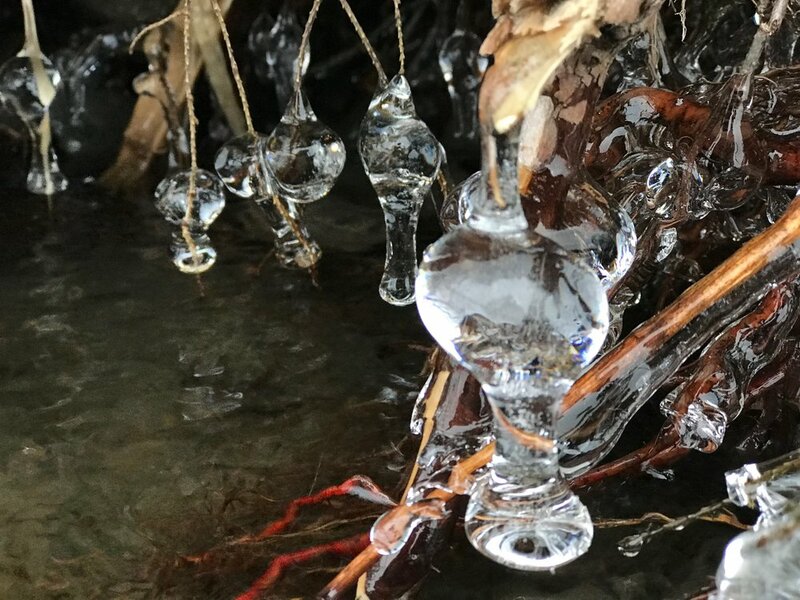 Today, as I hiked the property with the dogs, Mother Nature showed me her magical transformation of our water into beautiful pieces of #Art. I am grateful and I wanted to share this with YOU.